Tiger Moon Resort is one of the excellent wildlife Resort and best option for wildlife photographer and keen birder in Ranthambore National Park. It is nested at the edge of Ranthambore National Park and amidst the Aravali hills. The resort is designed keeping in mind the wildlife lovers and it merges entirely with the adjoining wilderness. Because of its closeness to the Ranthambore Tiger Reserve, It became a home of wildlife. You can probably see the footprint of different wild animals such as sloth bear, blue bull, leopard, jackals and tigers. Tiger moon resort provides excellent facilities and hygienic service in its wilderness.The hotel has a concept of the sprawling landscape and creates the wildlife ambience. 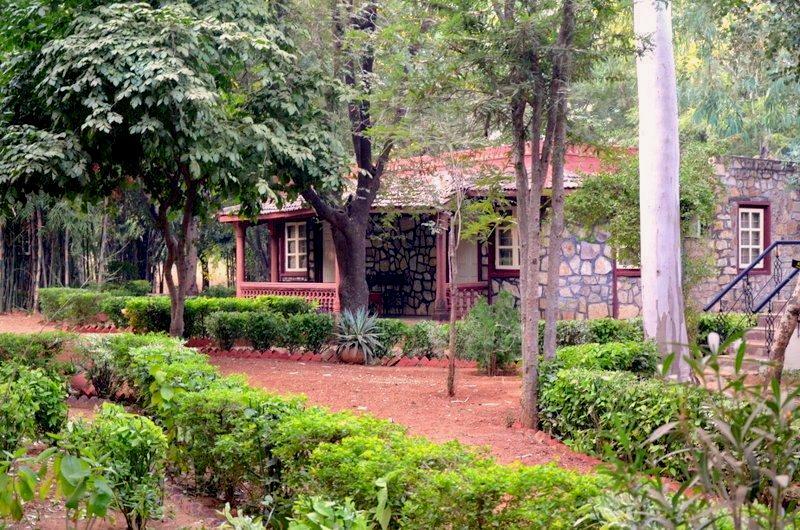 Hotel has nice pathway around the lush green sprawling grounds where you can have nice walk for explore to wildlife. There is a large swimming pool for refreshing dips and you can have your delicious meal adjoining the romantic jungle dining hall. Plenty of birds and monkeys are common sight in the resort. Tiger moon resort has bungalow type luxury accommodation. There are 32 air-conditioned deluxe cottages, 04 luxurious suite and 04 tents. All cottages have it is own private verandas. The cottage concept in the hilly landscape creates an assorted ambience. All cottages are with their gently sloping tiled roofs, and furnished with all innovative amenities with feeling of Rajasthani architecture. It creates a combination of rural charm with luxury. The resort offers puppet shows and folk dance around noisy bonfire and moonlight dinner fills the color to your evening. All rooms all self contained with all modern amenities. Sizzling barbecues around bonfires with cultural shows.